After 7 races in winds ranging from 5 to 15 knots, John Mollicone and his team of Geoffrey Becker, Daniel Rabin, and Tim Healy have won the gold medal in the U.S. Pan Am Games Trials. 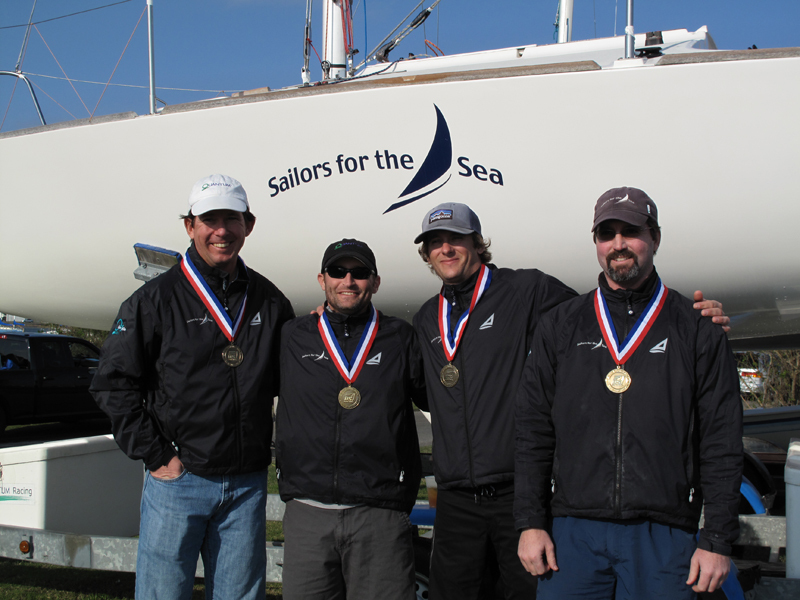 The silver medal was won by the team helmed by Flip Wehrheim and the bronze went to Will Welles and his team. 10 boats sailed in the “Pan Am” configuration with teams of four and using 100% jibs only. Racing was incredibly tight with even the top sailors struggling at times to stay out of last place. The small fleet made for the perfect format for the trials as the Games in Puerto Vallarta, Mexico in October will be limited to seven countries.